With the new ‘High White’ shade the paints pigments will appear more vivid, and with more sparkle, giving the whole painting a fresher look. 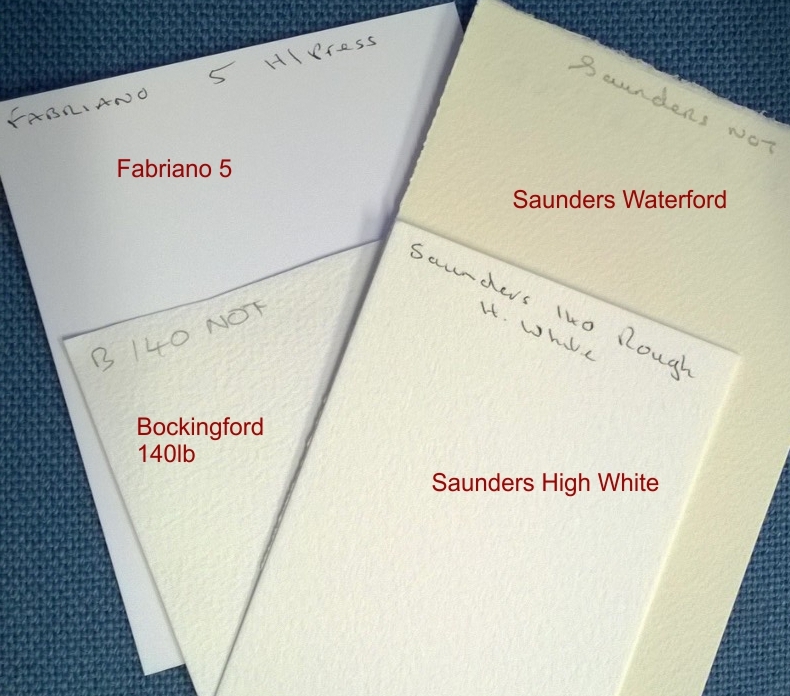 A whiter sheet will make finished paintings more contemporary looking, as artists have commented that they felt the original white colour created a more antique look to their finished compositions. 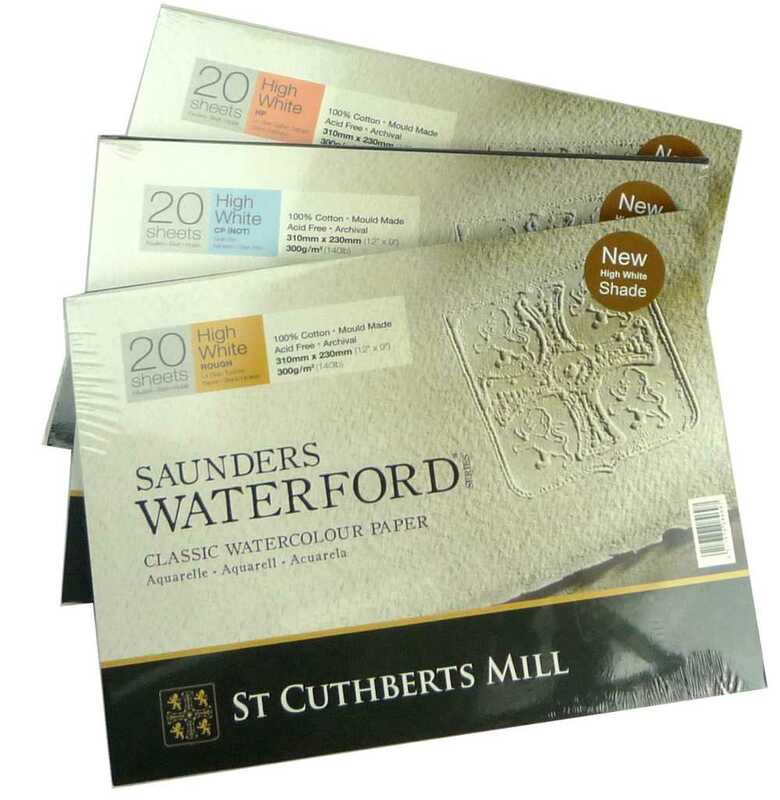 20 sheets of acid-free Saunders Waterford High White 140lb (300gsm) 100% rag watercolour paper gummed on all four sides. Available in Hot Pressed (HP), NOT and Rough and ideal for the professional or amateur alike. Superb - Saunders Waterford High White Block Rough 12"x16"
Superb watercolour paper - Saunders Waterford High White Block Rough 12"x16"